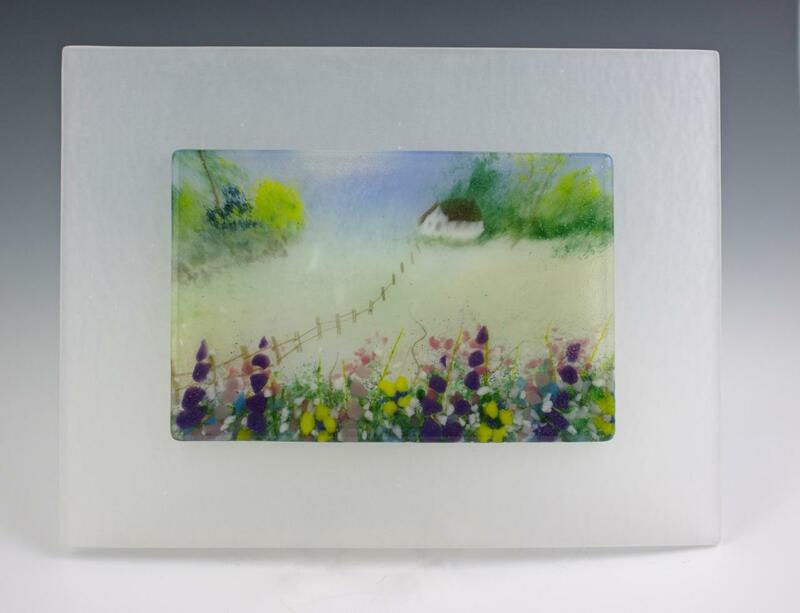 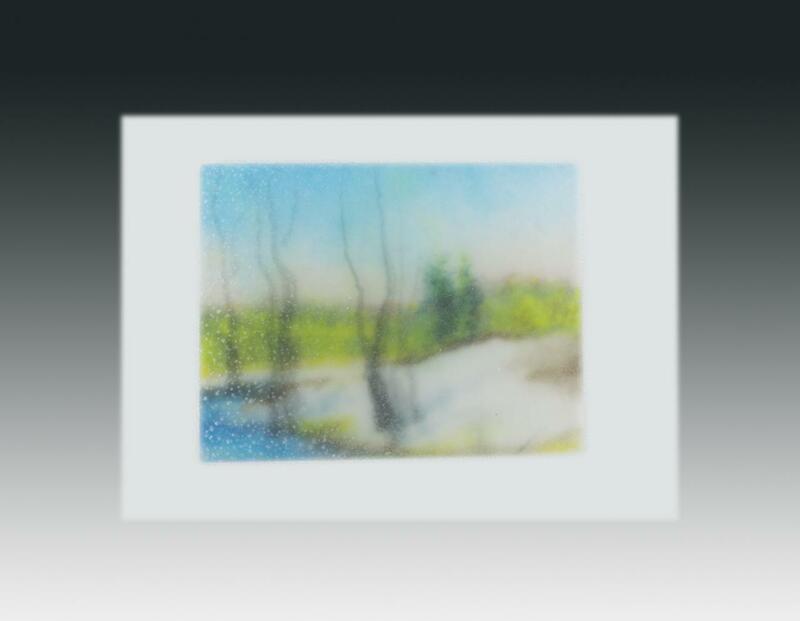 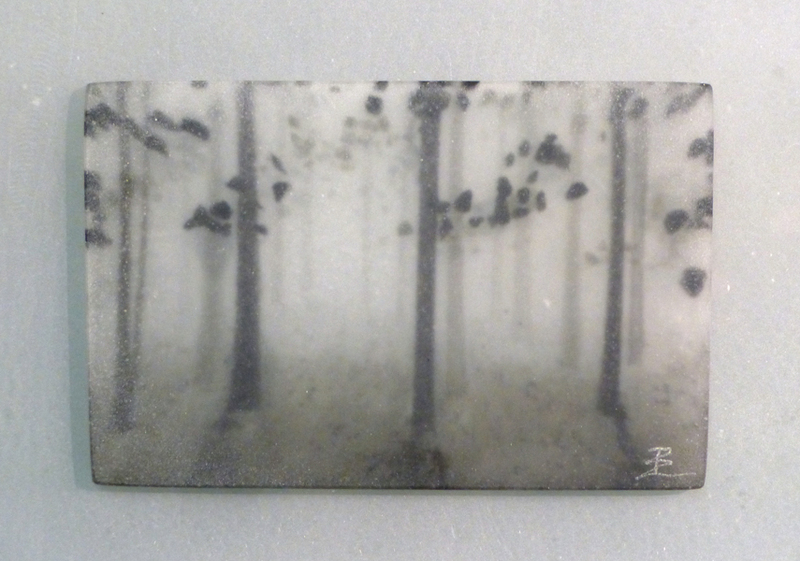 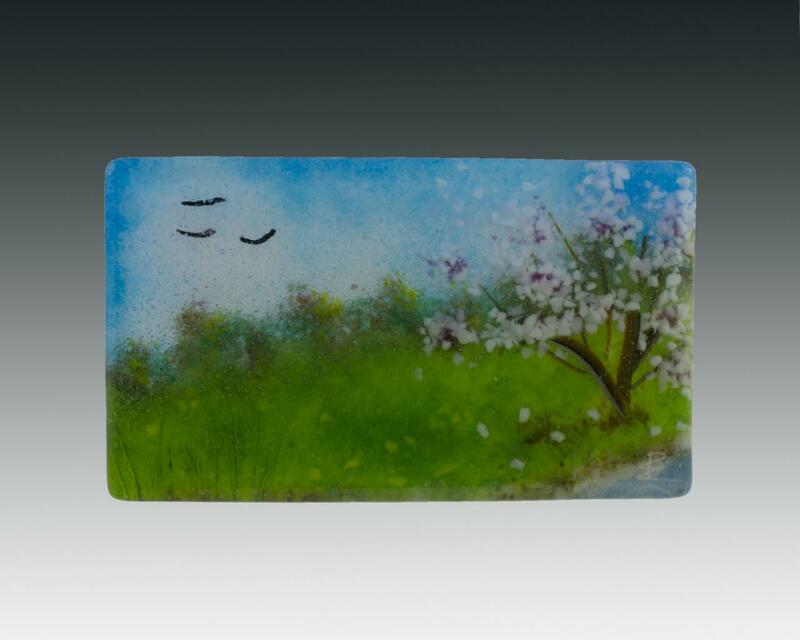 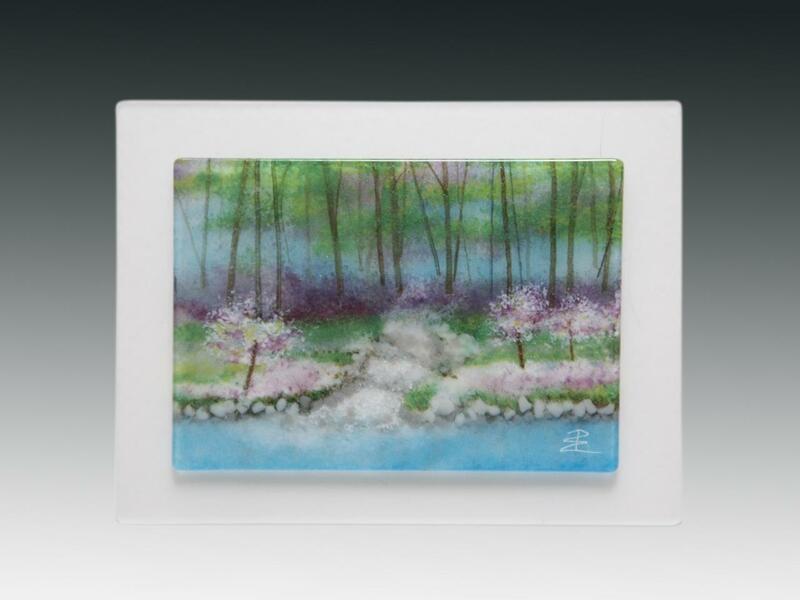 These beautiful miniature landscapes are already sold, but, if something really talks to you, you can always request something similar. 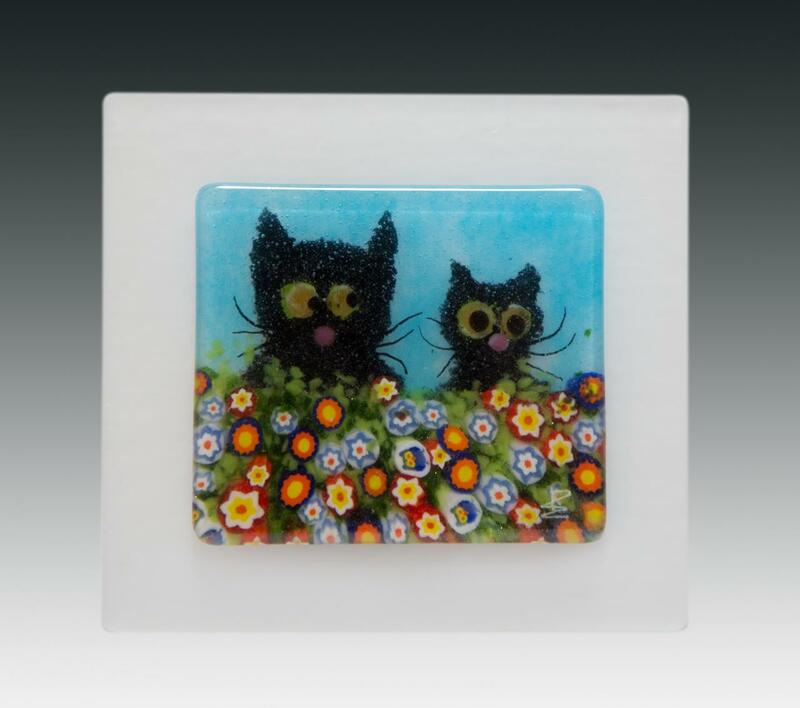 It's impossible to make two that are exactly alike. 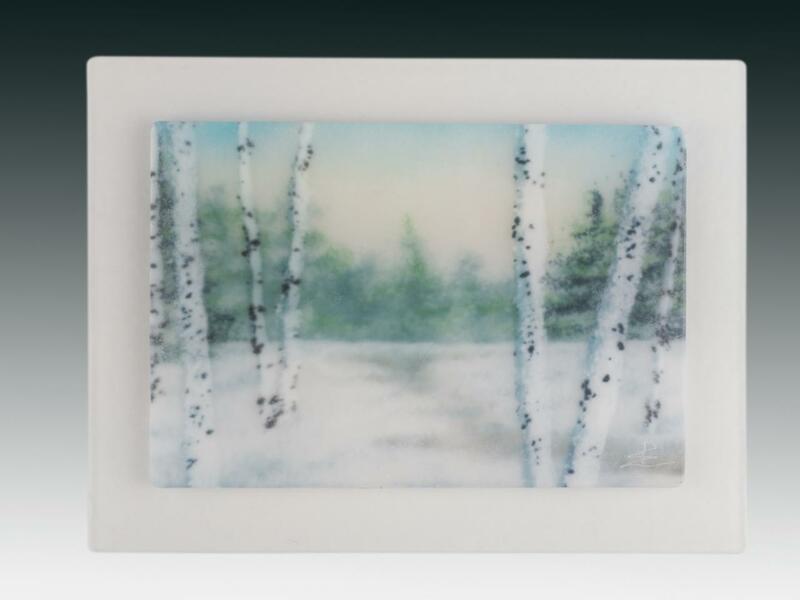 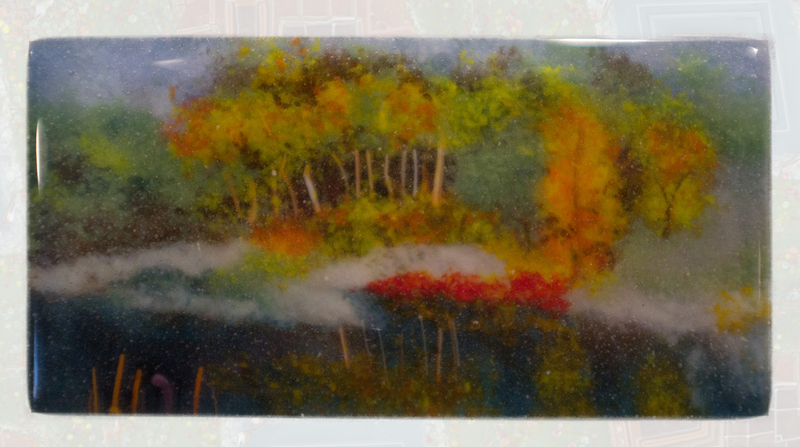 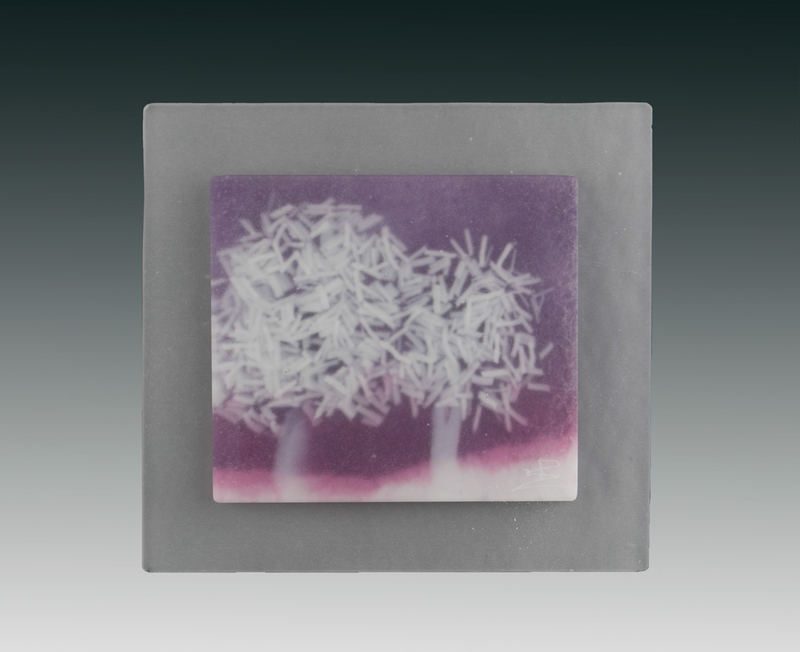 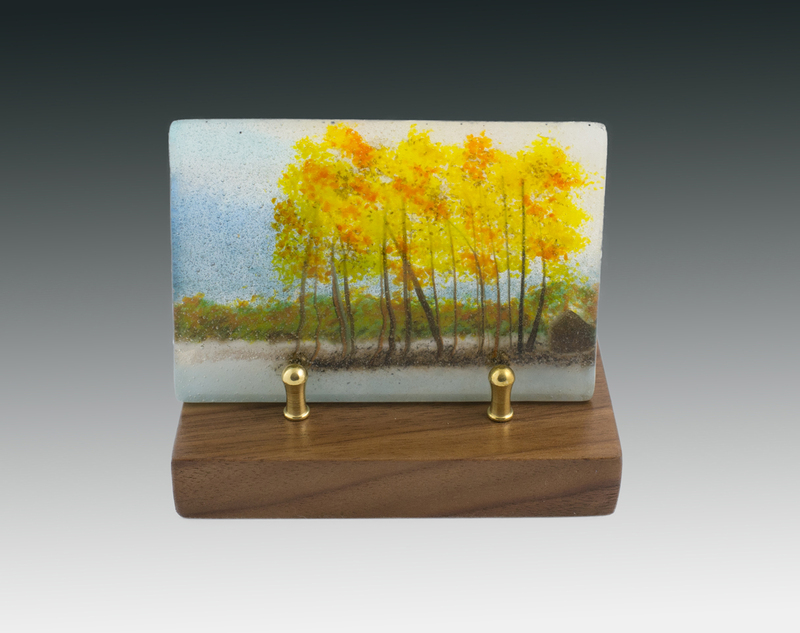 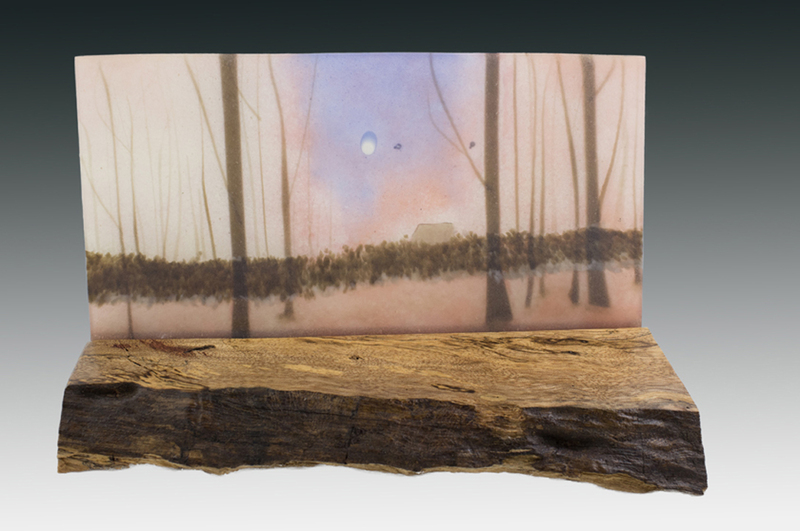 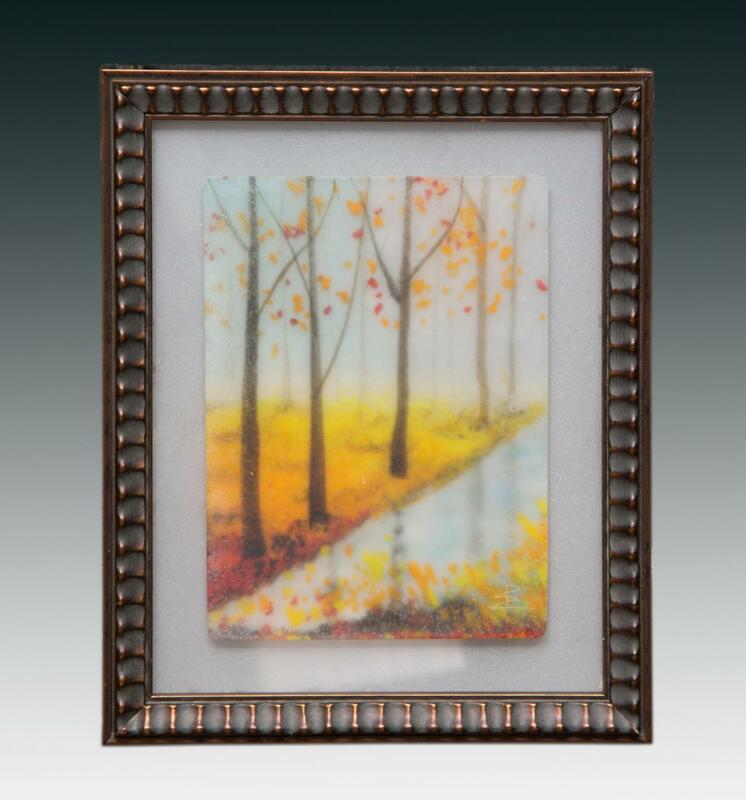 Our smallest landscapes (typically less than 12" on the longest side) are marvels of detail... each image is constructed piece by tiny piece with tweezers, dental tools, paint brushes and other tools. 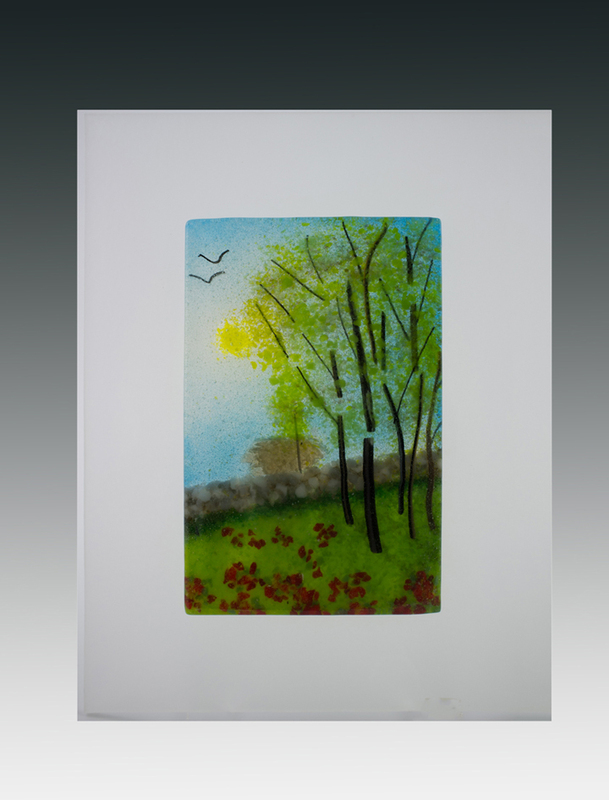 Inspiration for these images comes from many sources, including Impressionist paintings, photographs, Chinese Ink Paintings and the like. 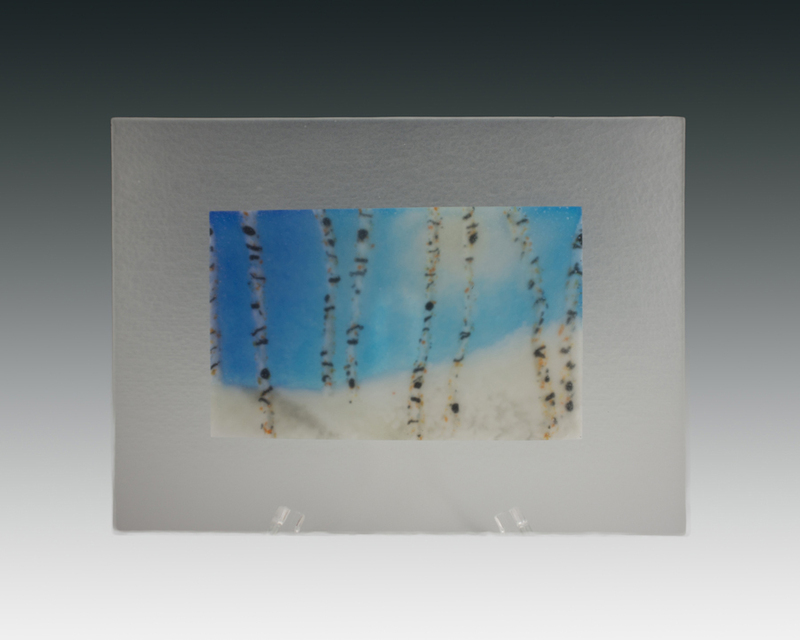 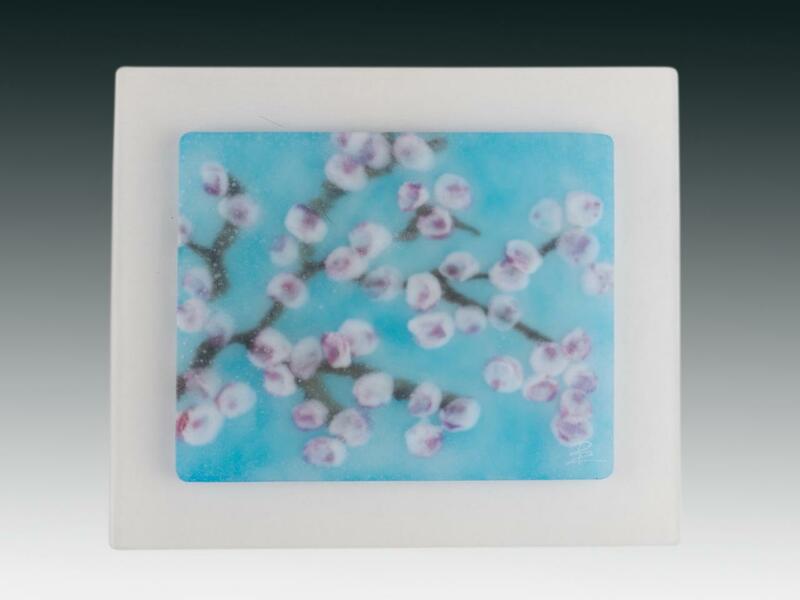 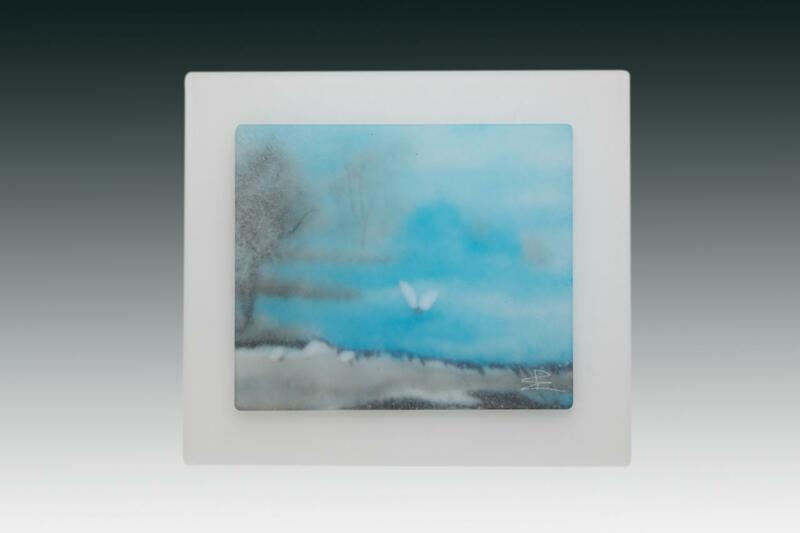 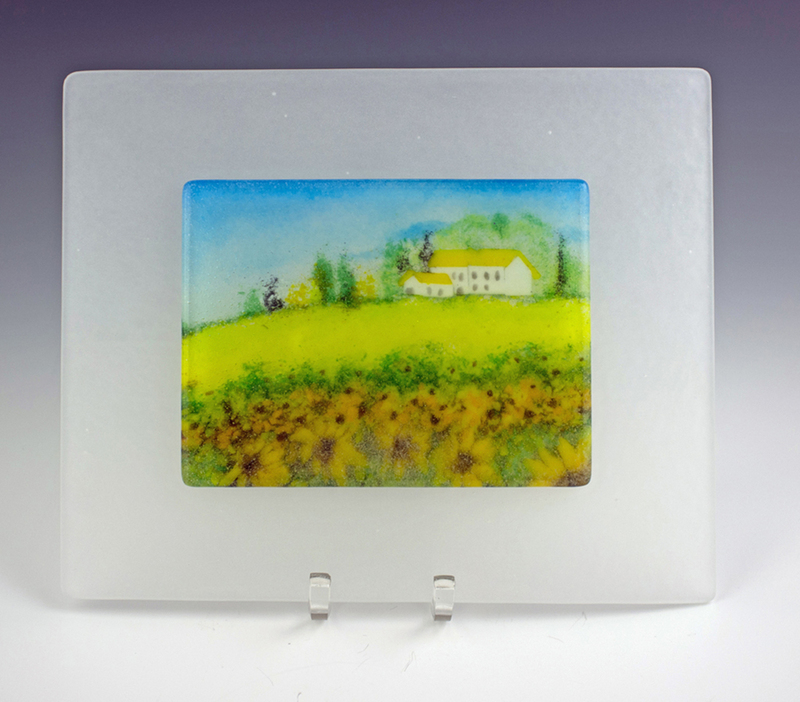 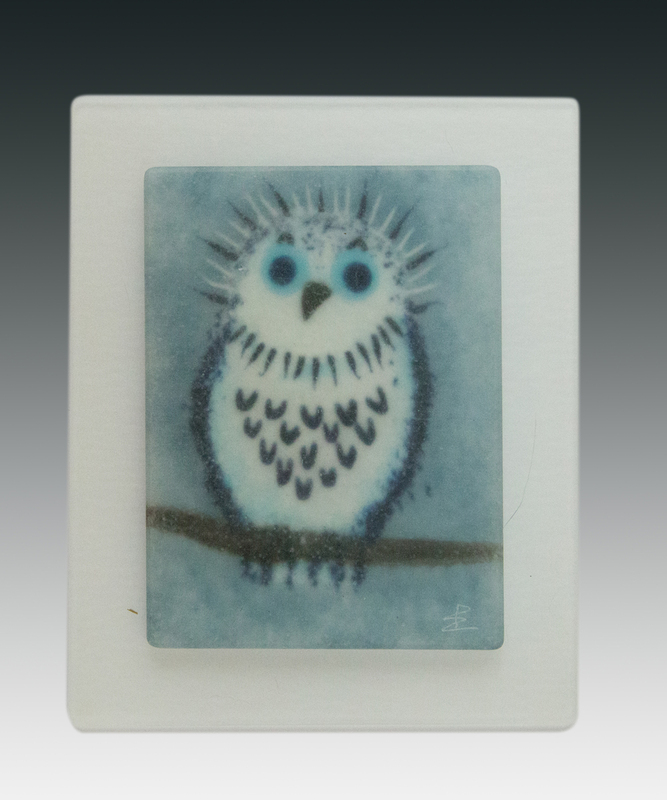 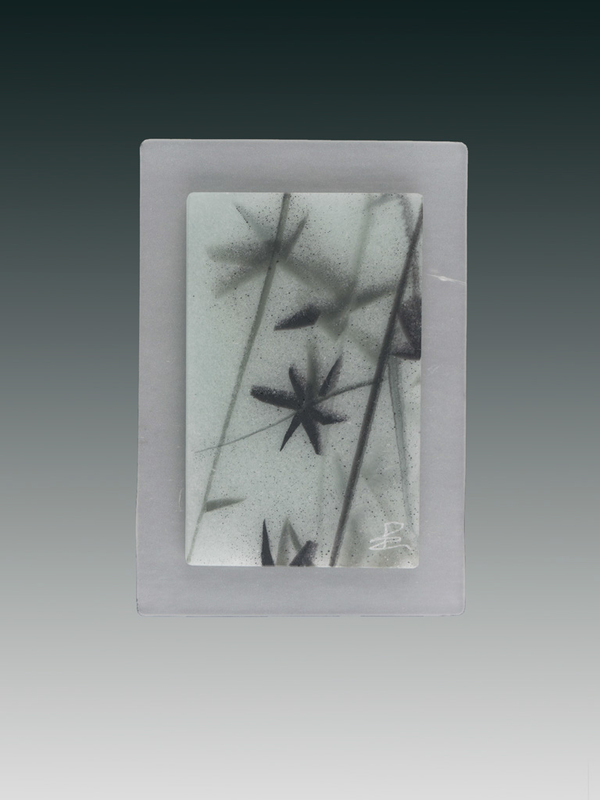 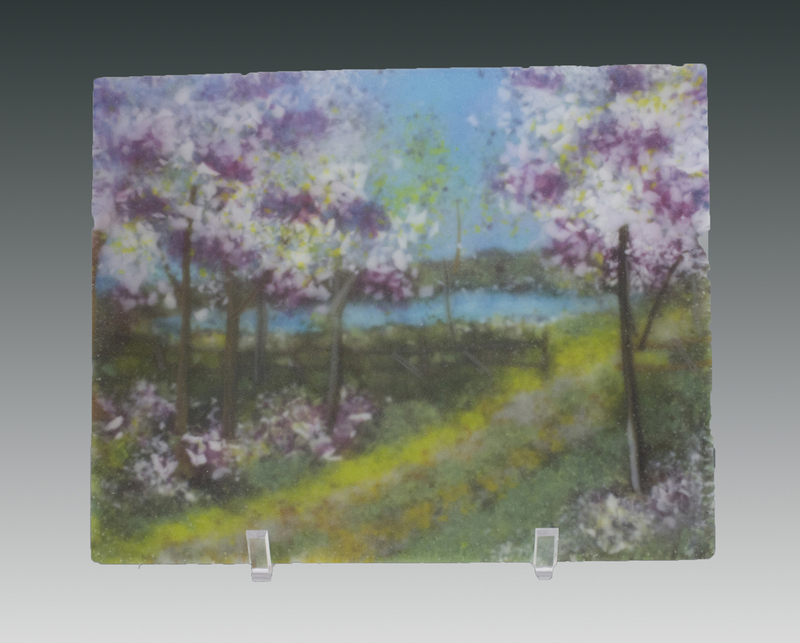 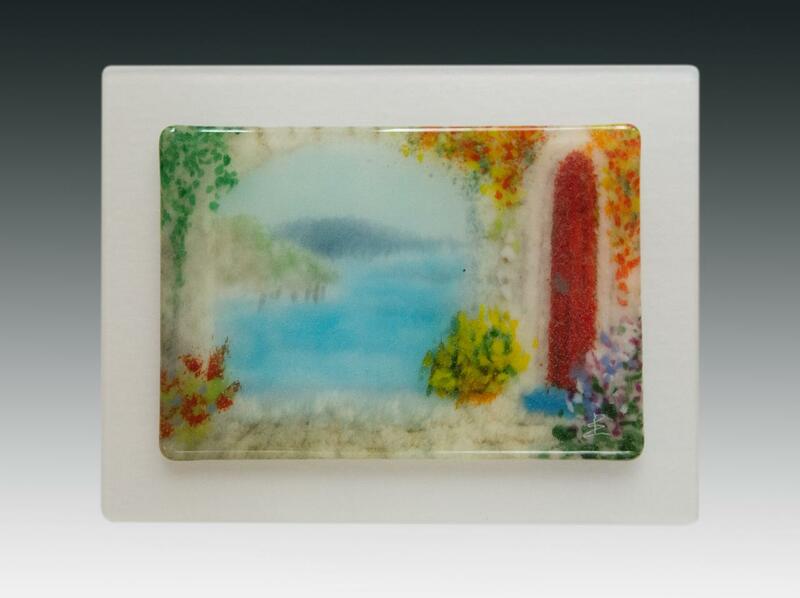 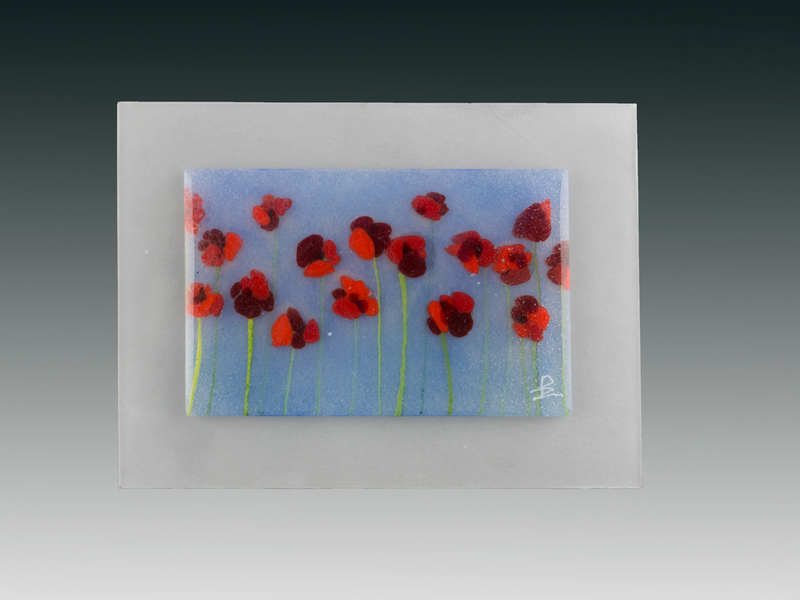 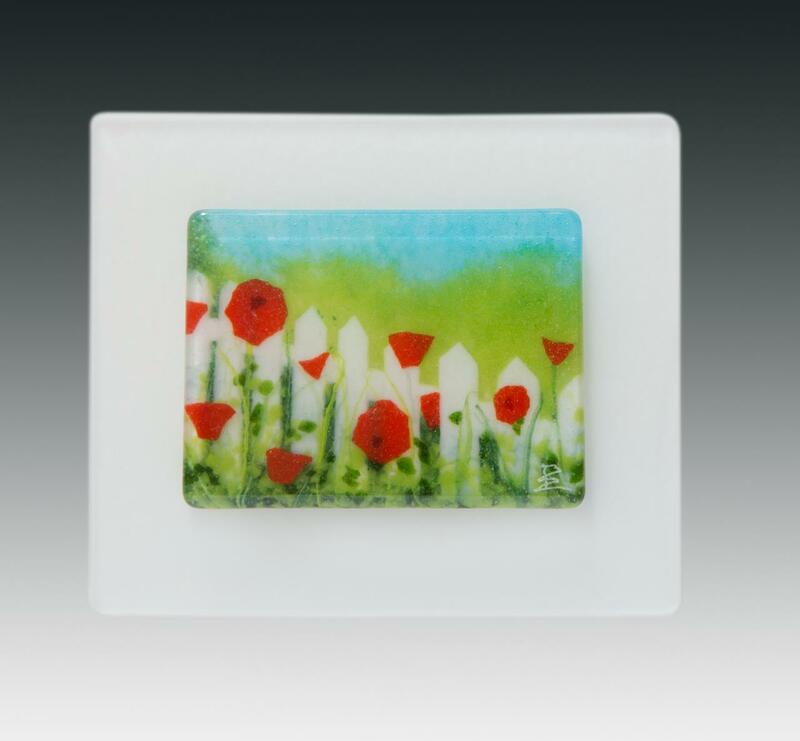 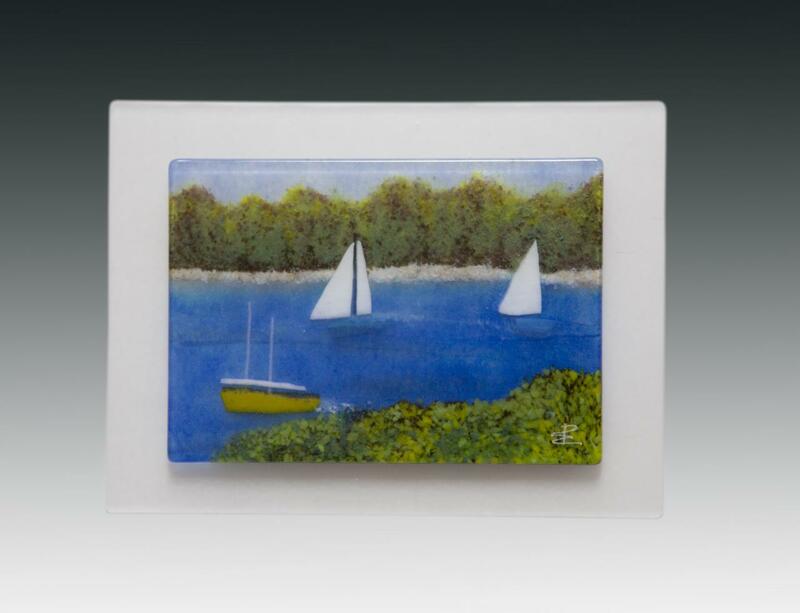 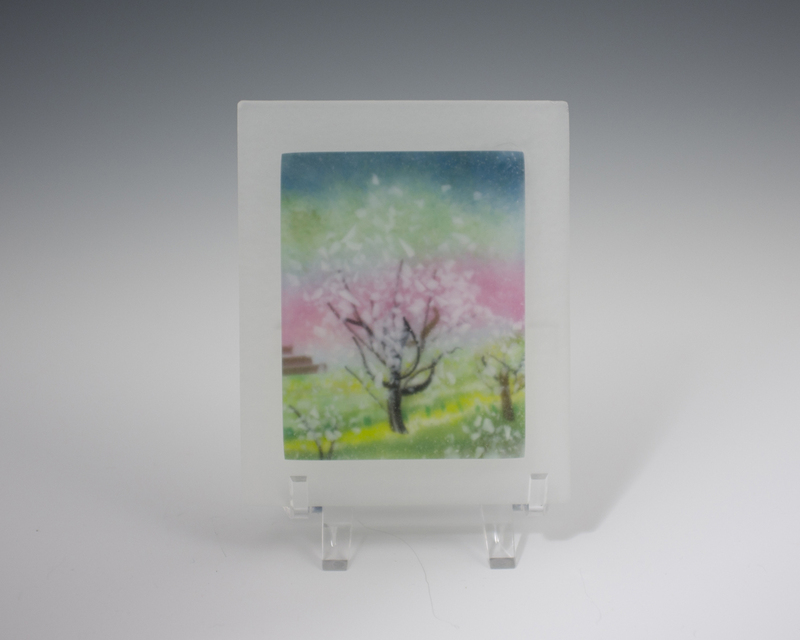 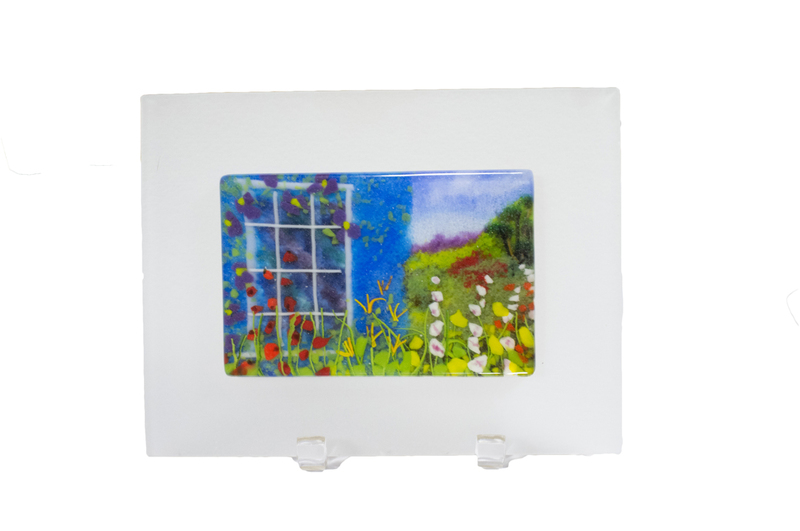 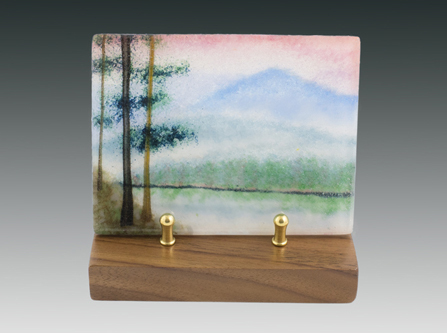 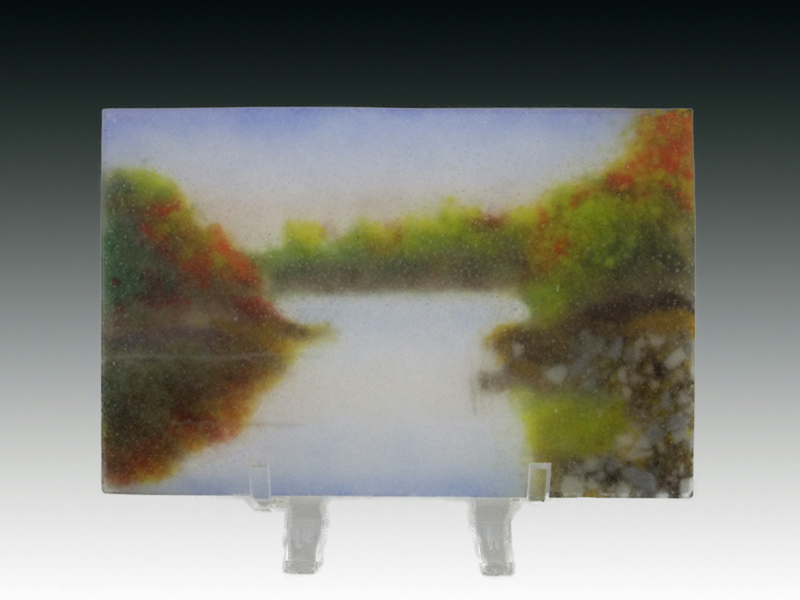 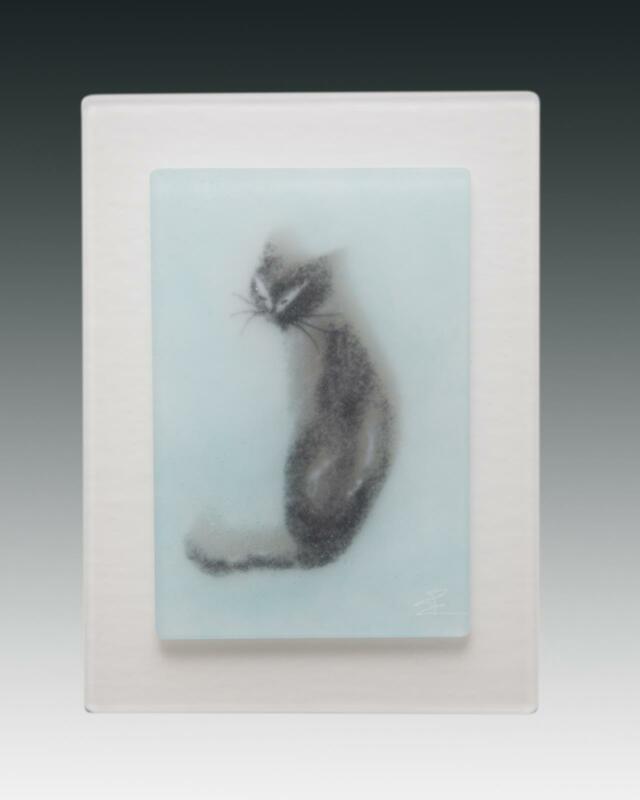 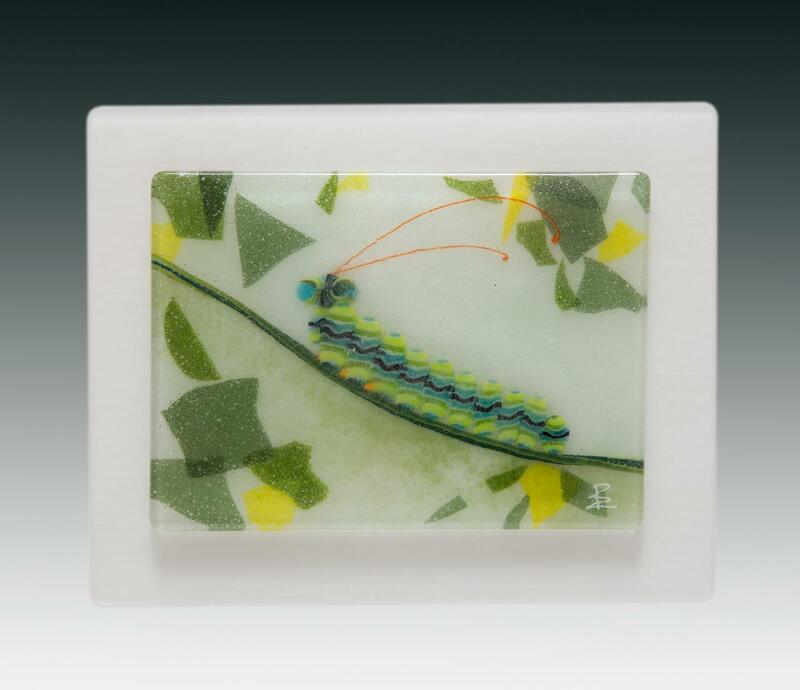 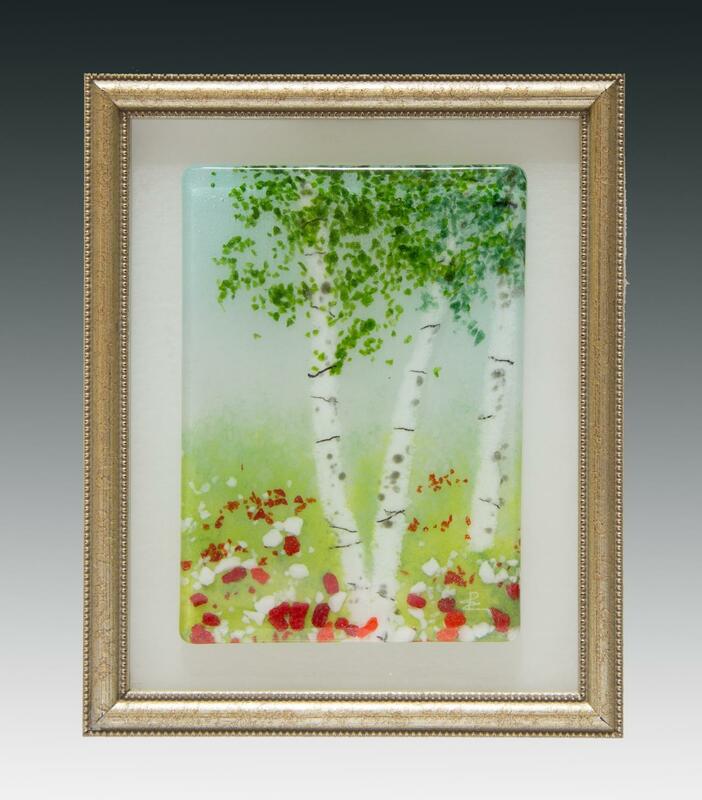 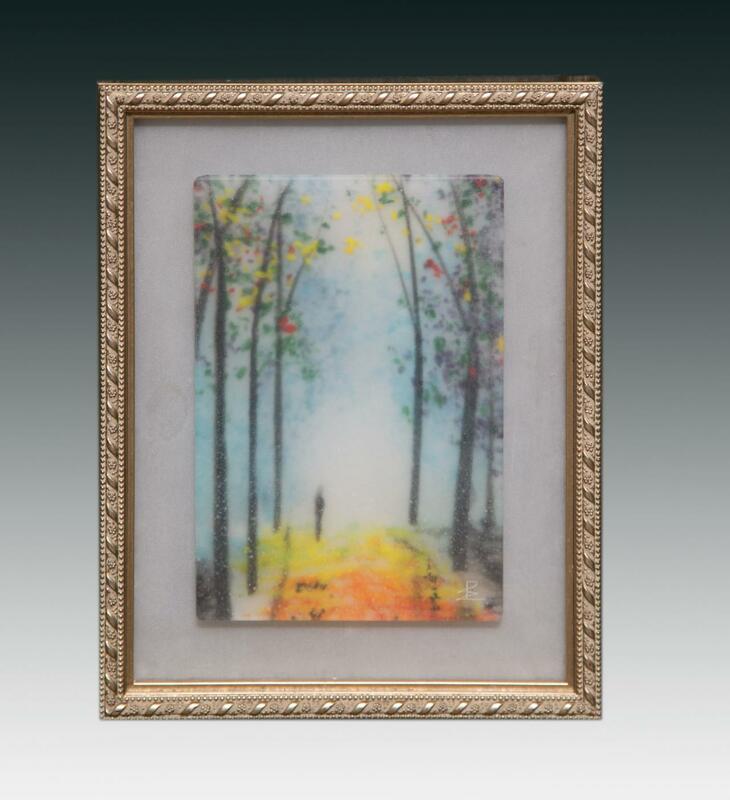 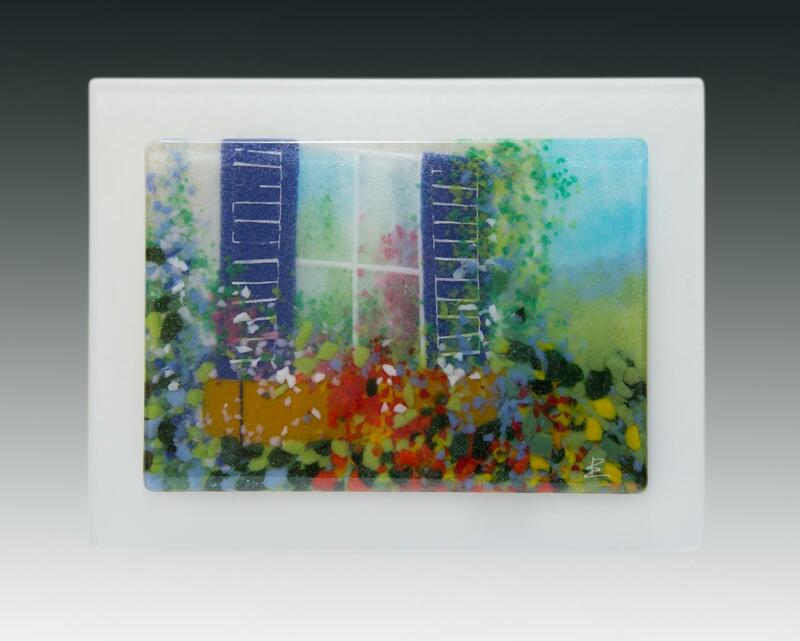 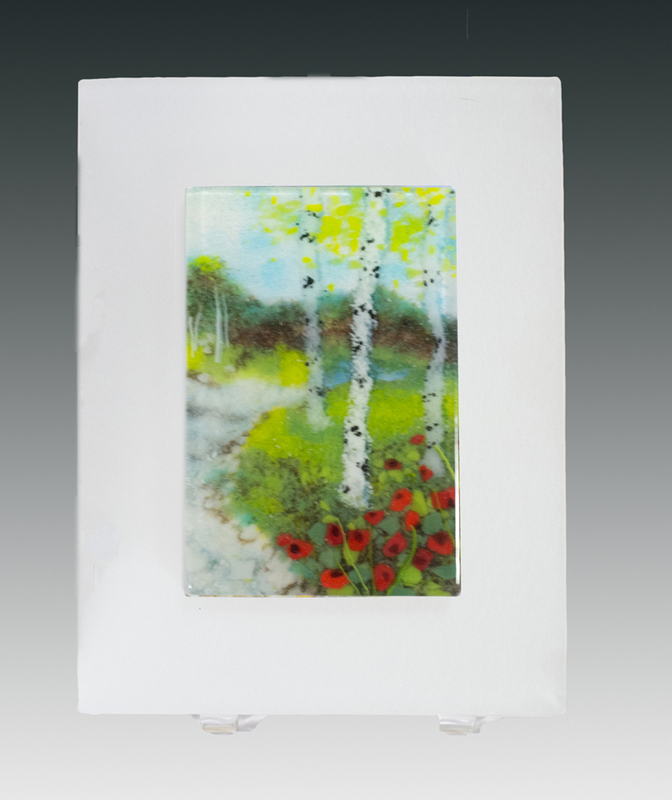 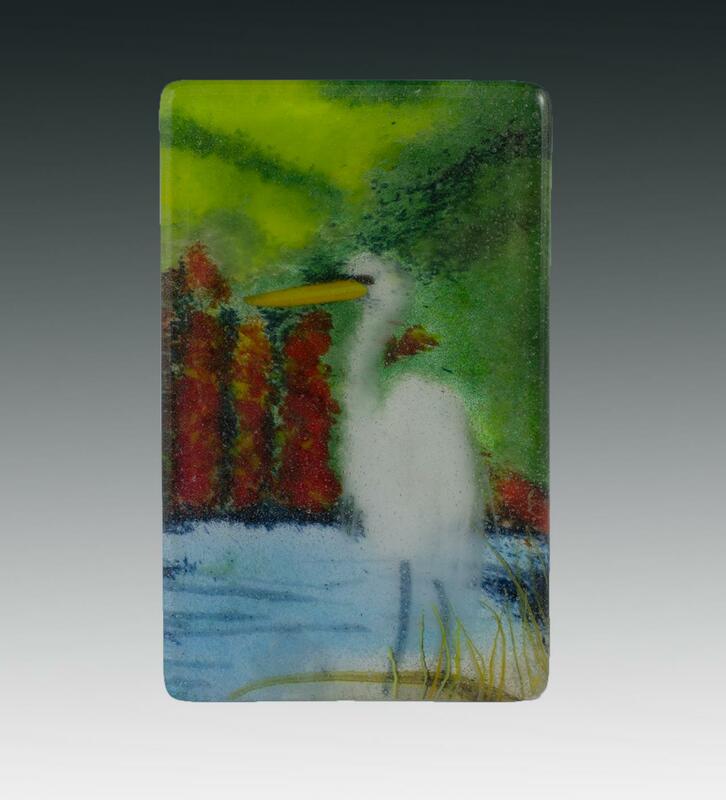 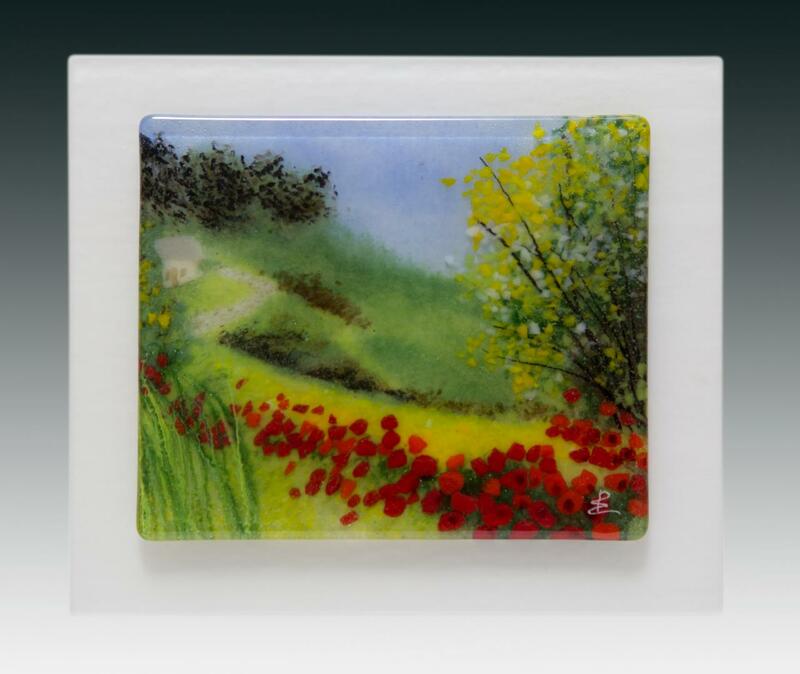 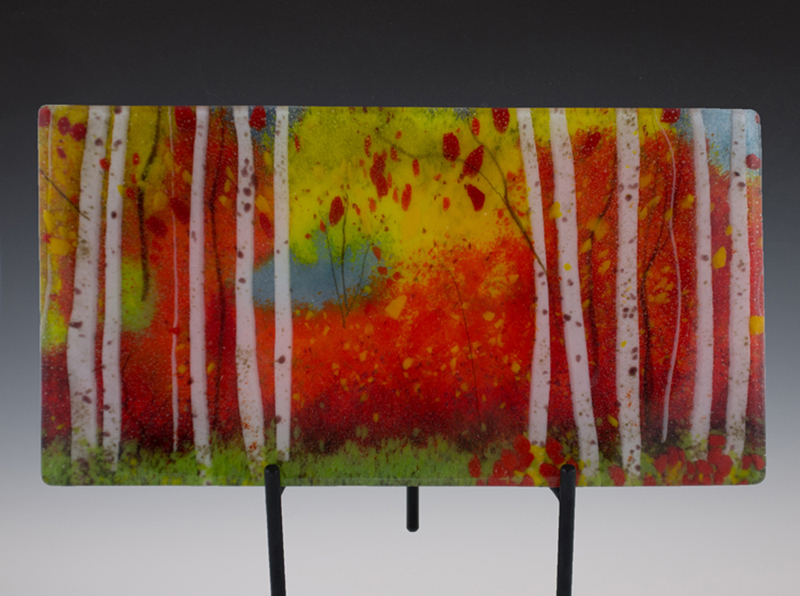 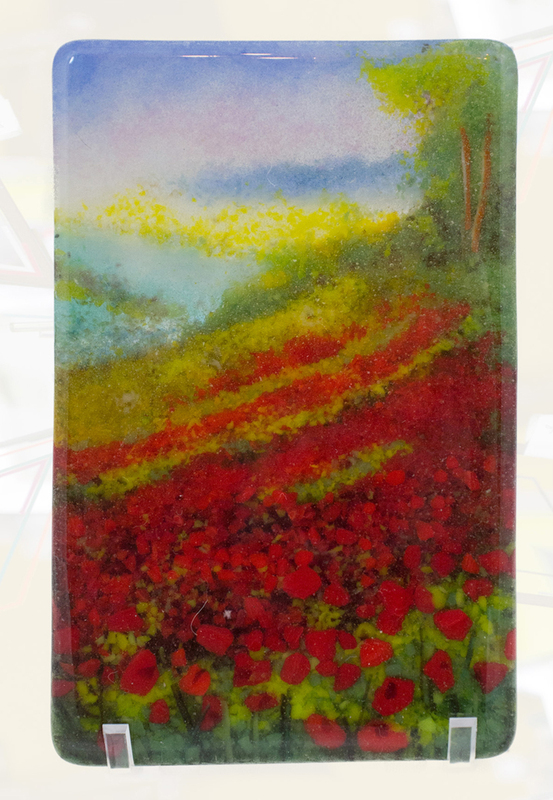 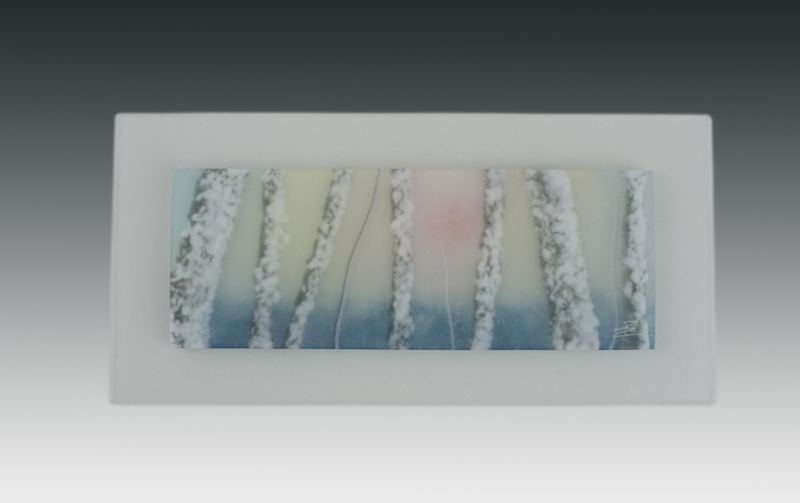 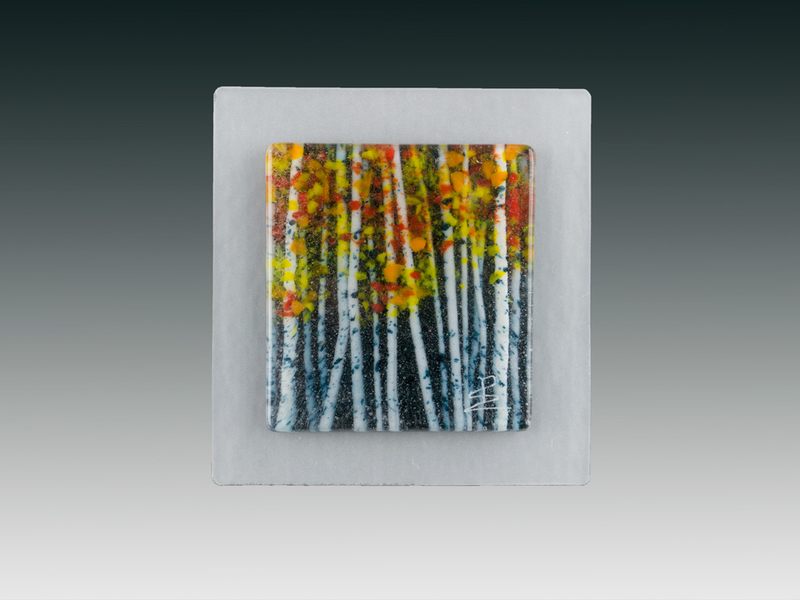 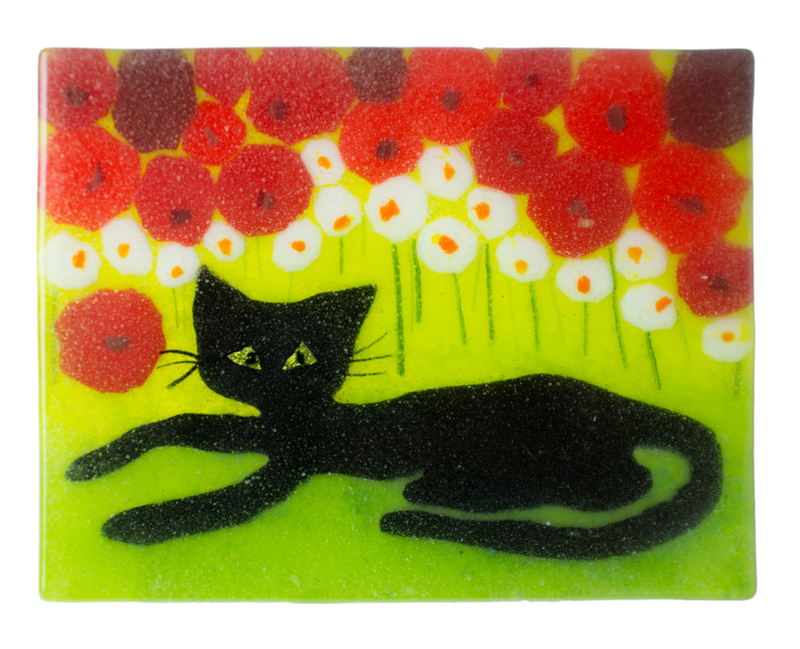 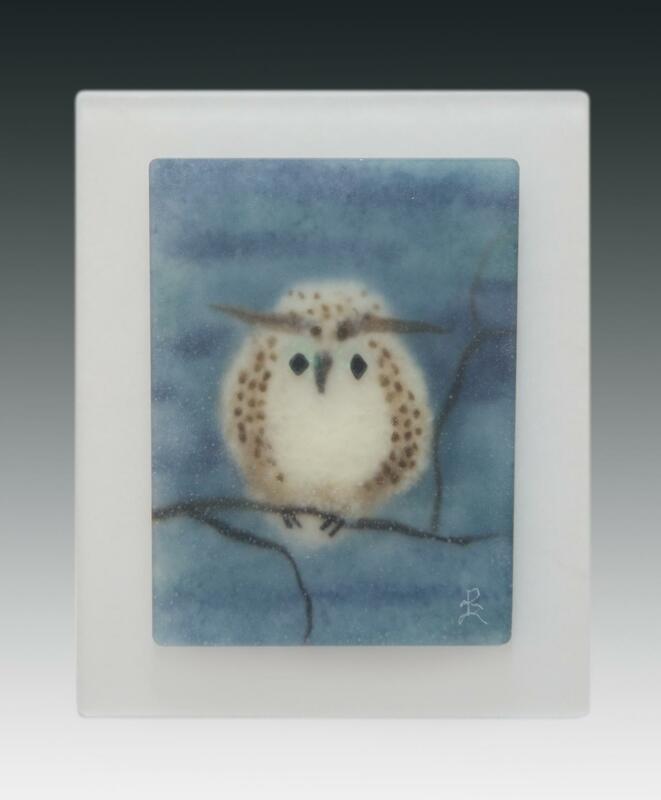 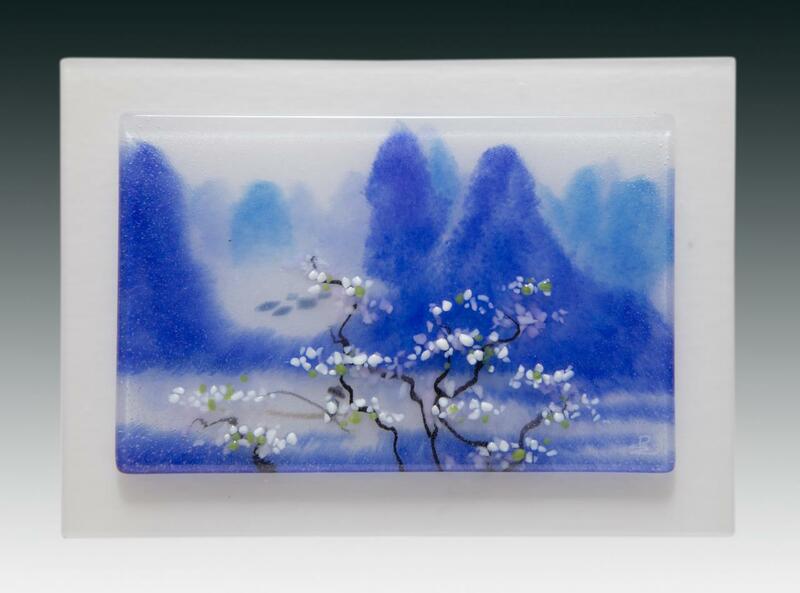 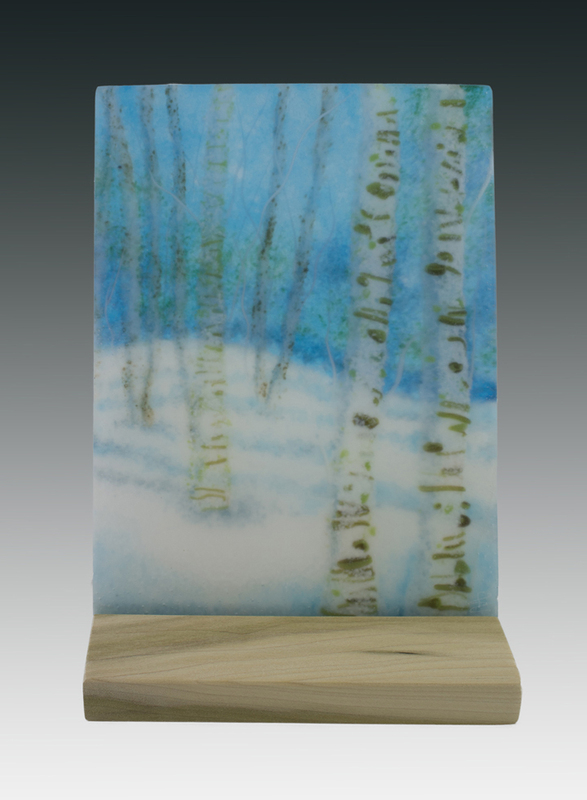 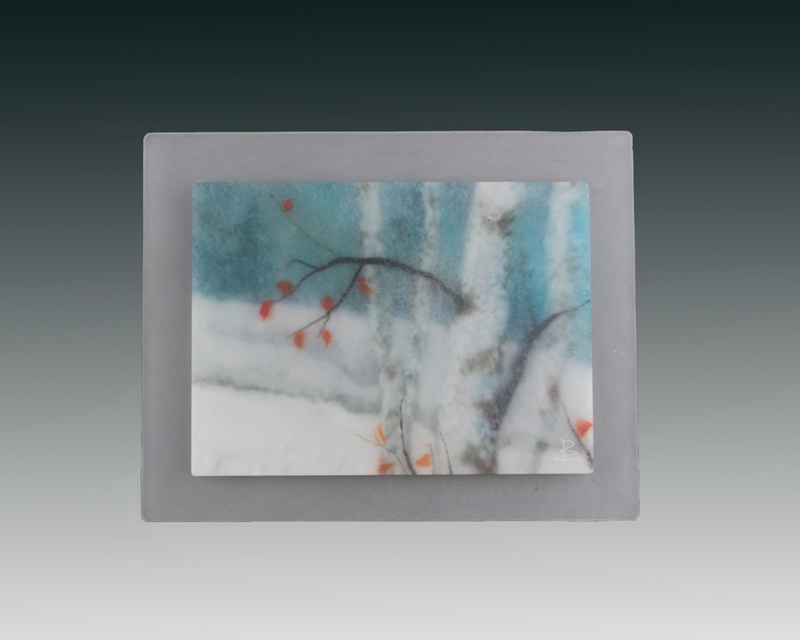 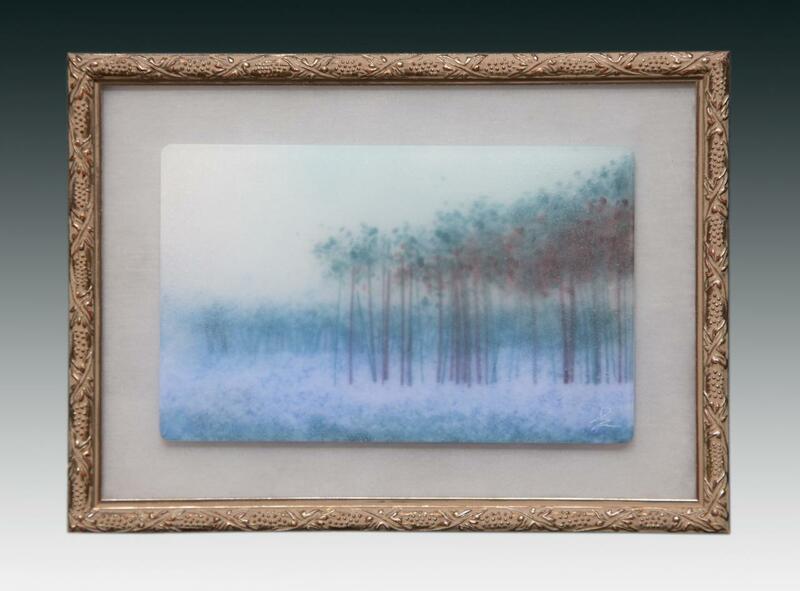 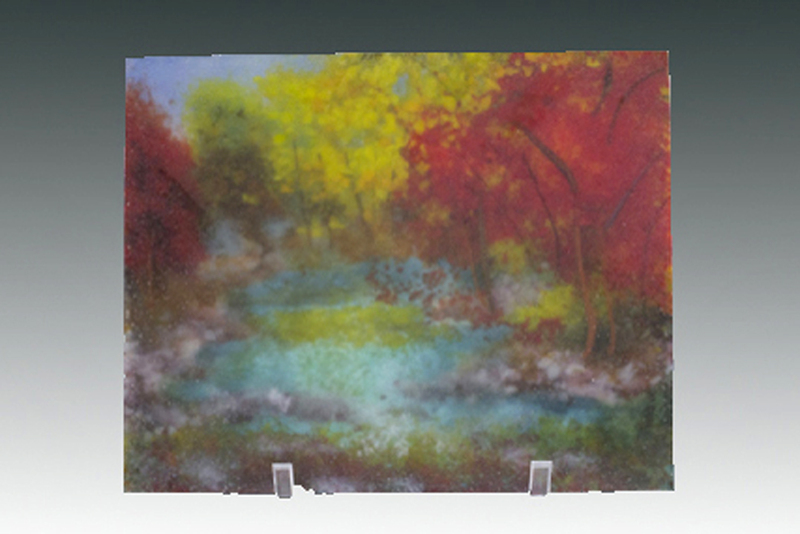 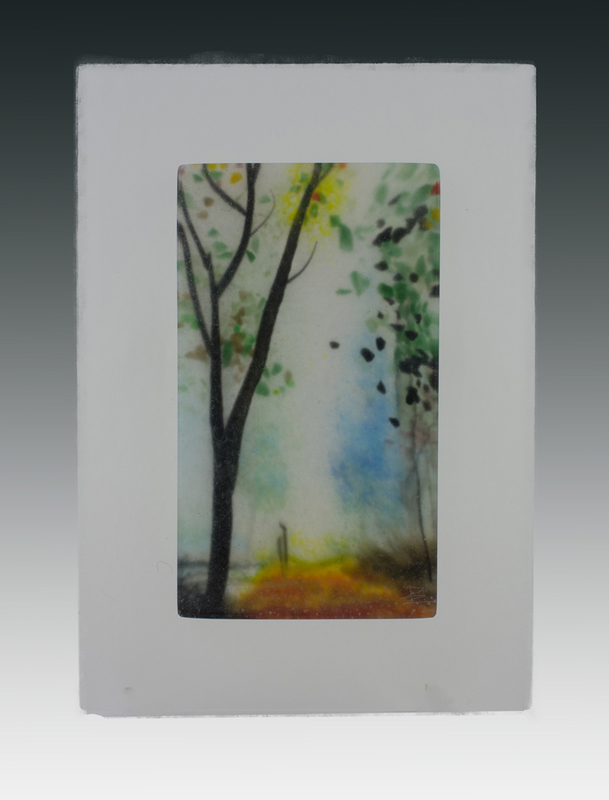 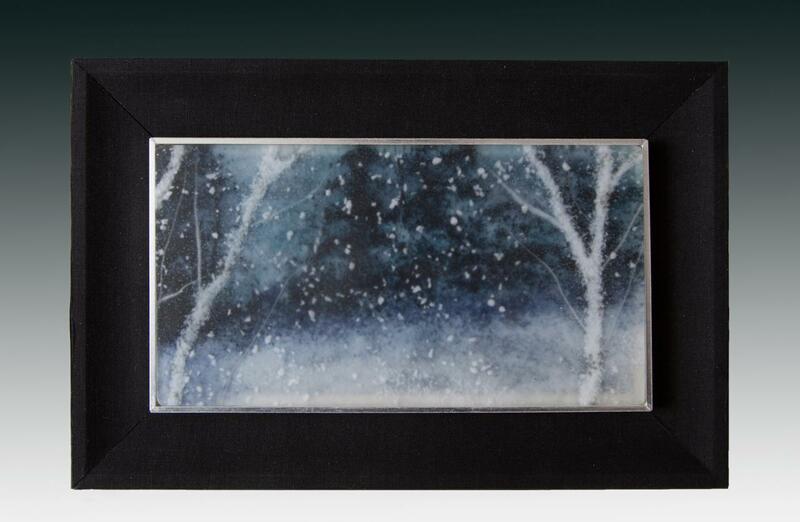 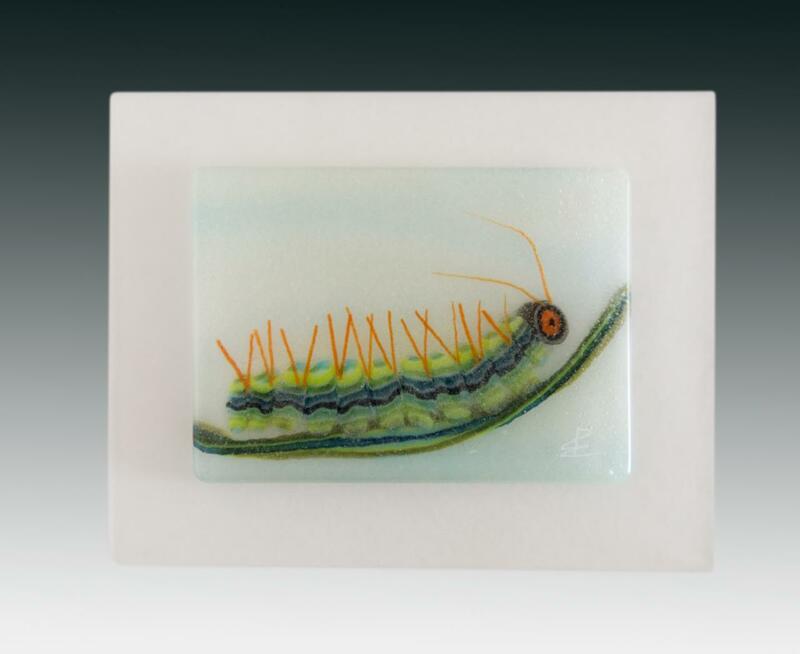 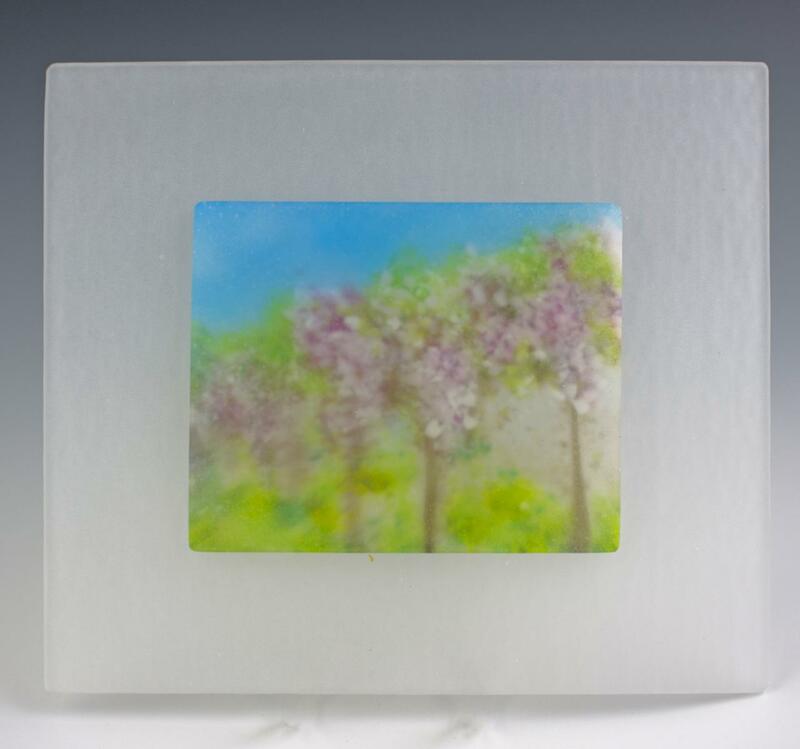 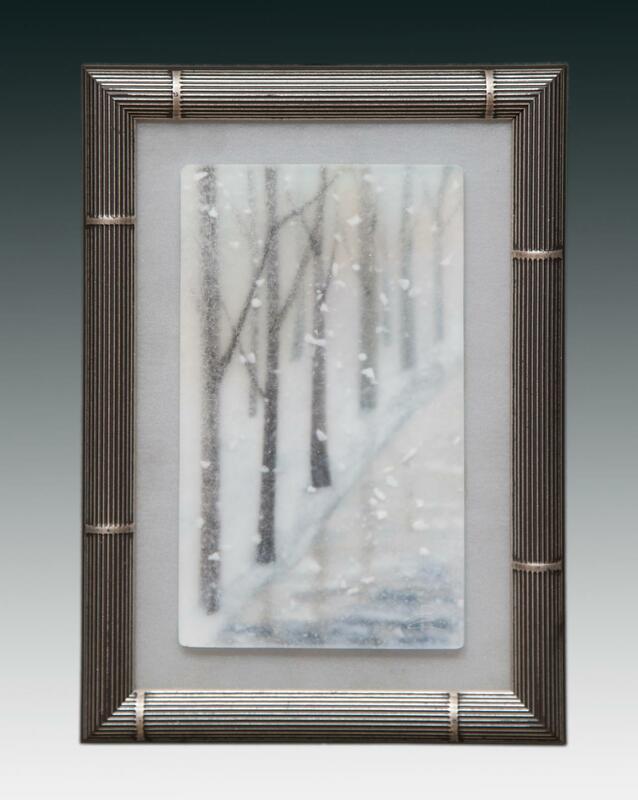 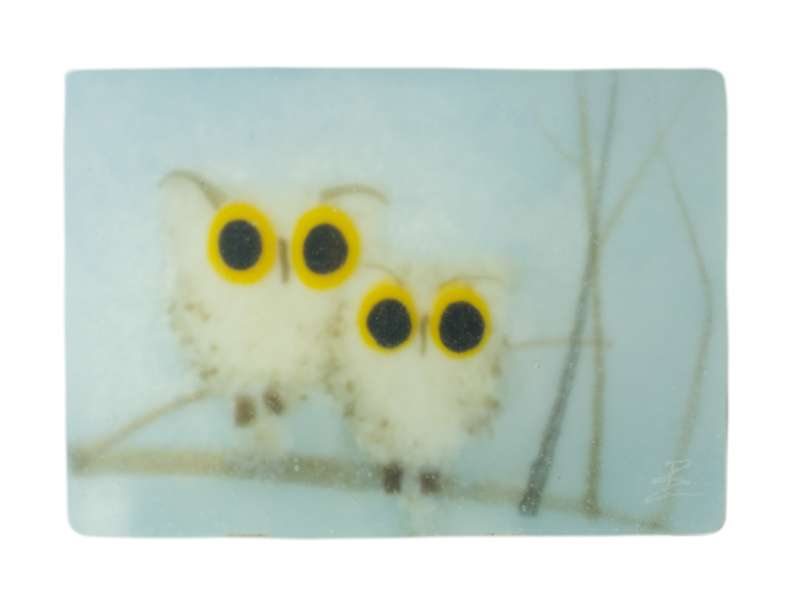 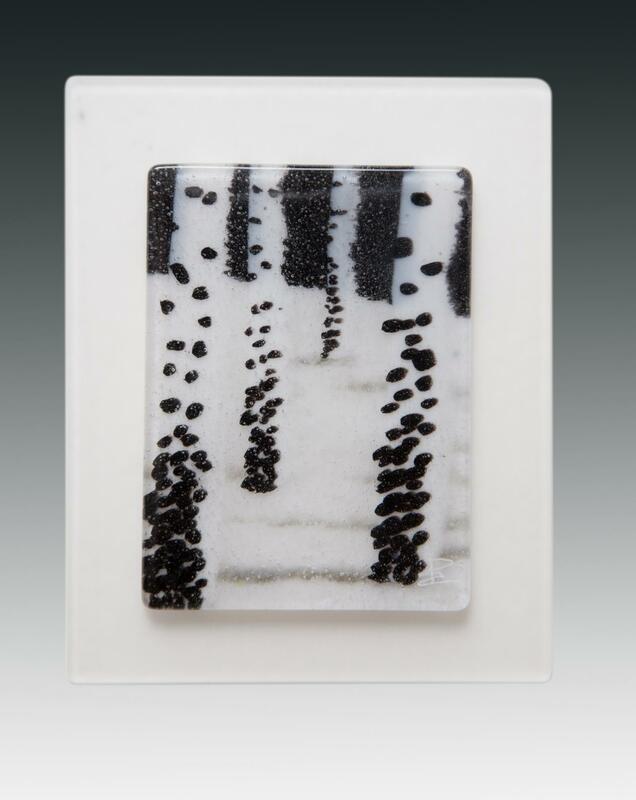 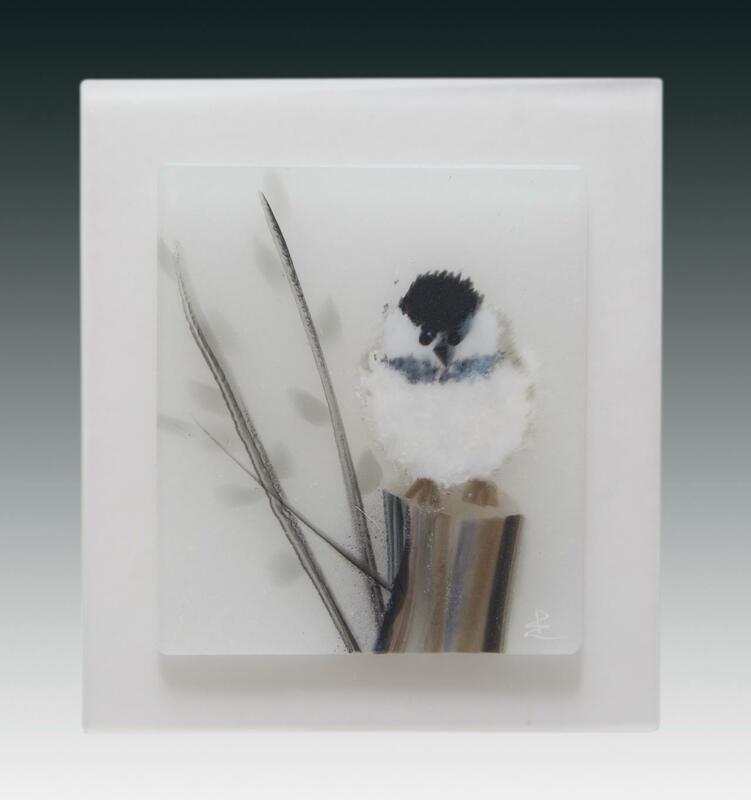 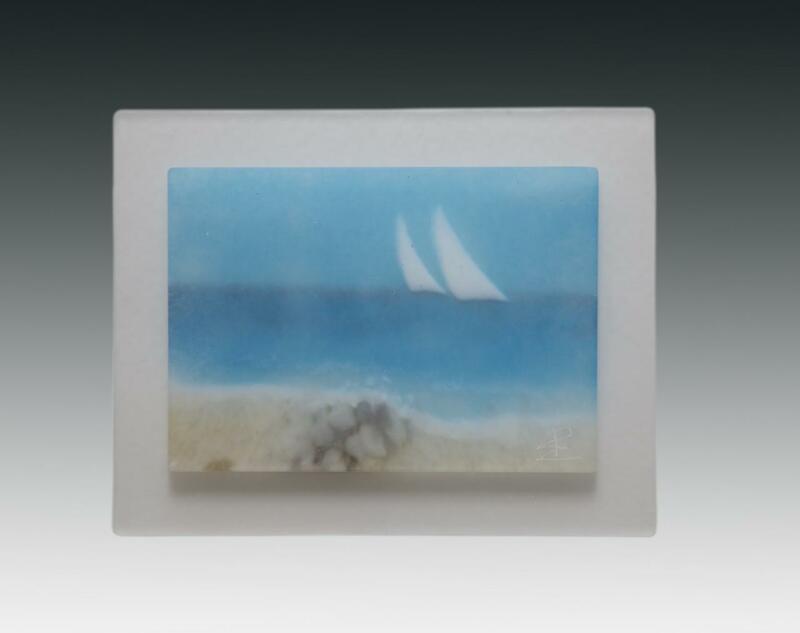 As with all Pezzulich Glassworks art, every unique and original piece is made painstakingly by hand, then fired in a kiln to form a solid panel of glass. 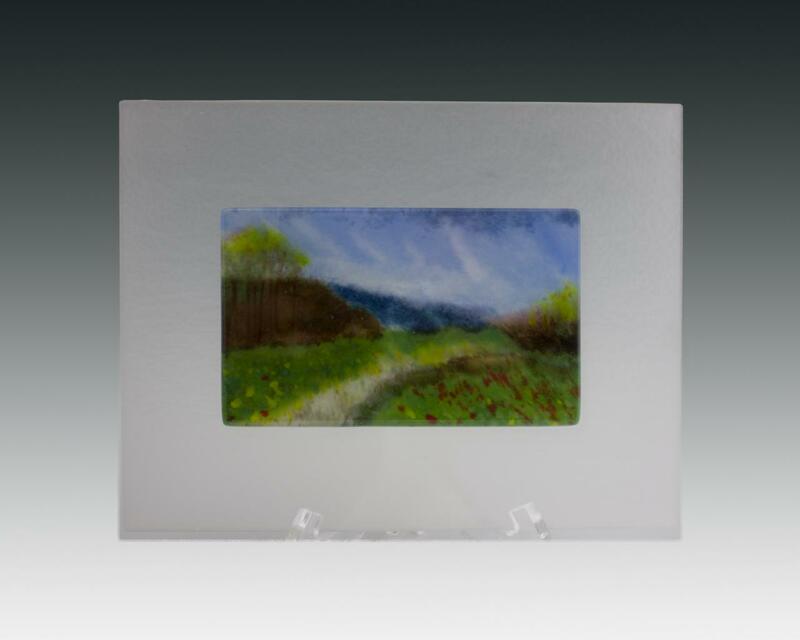 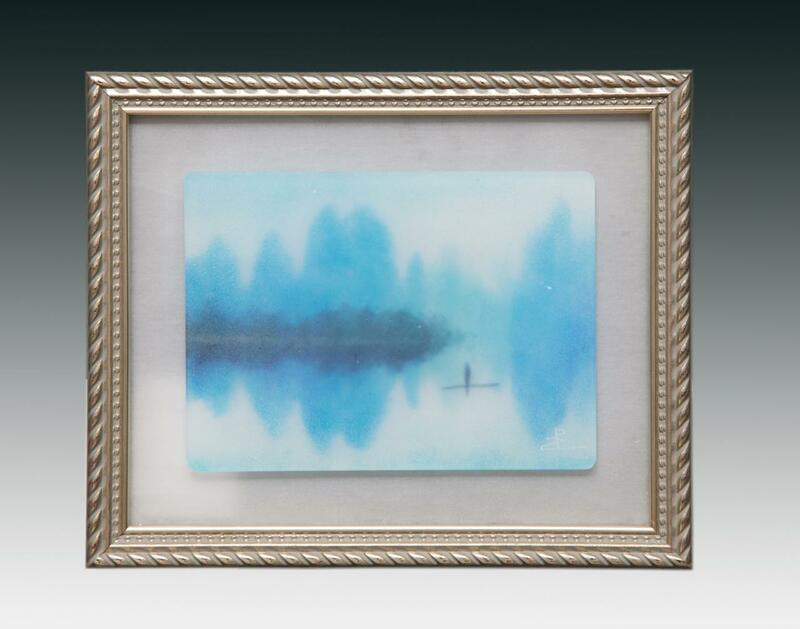 They may have a soft hand-rubbed matte finish, or a distinct, glossy surface -- depending on the nature of the image. 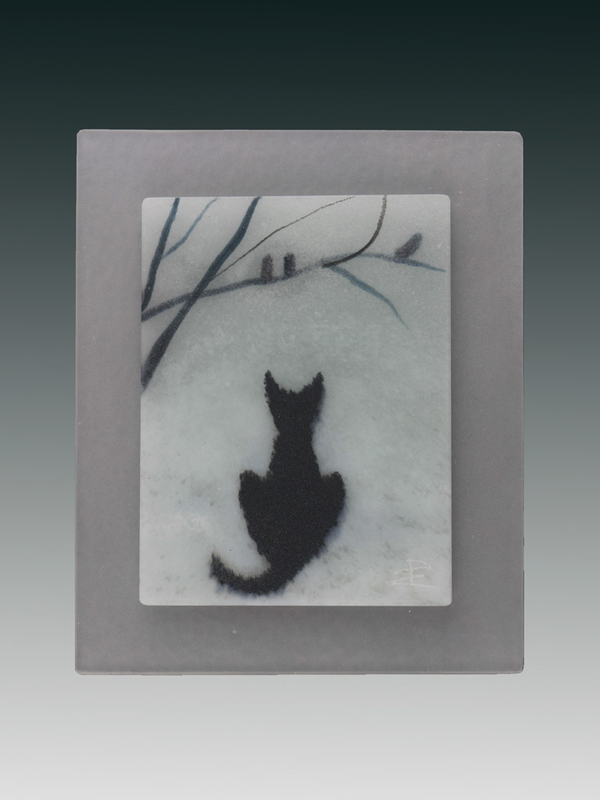 The works on this page are no longer available for sale, but may give you ideas for the creation of your own custom piece. 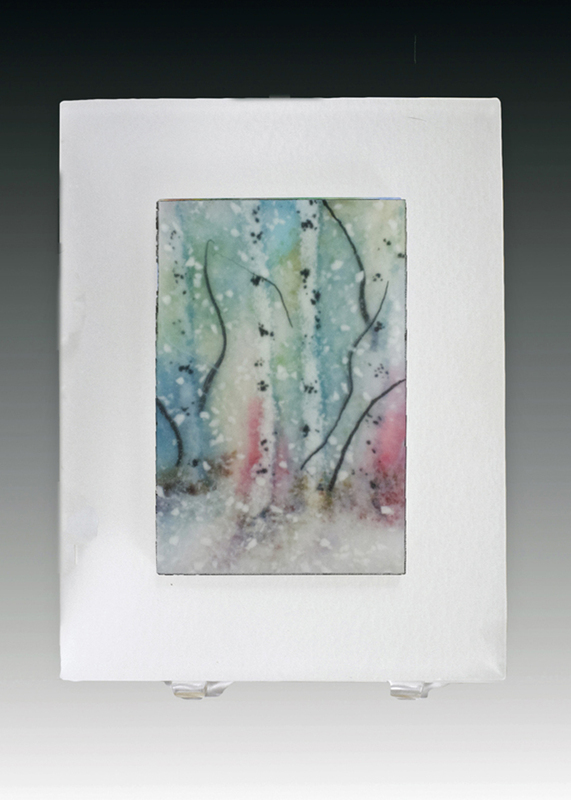 If you are interested in purchasing one of the available pieces, click here.